We just could not decide which one of our character friends to invite out, so we invited all three! 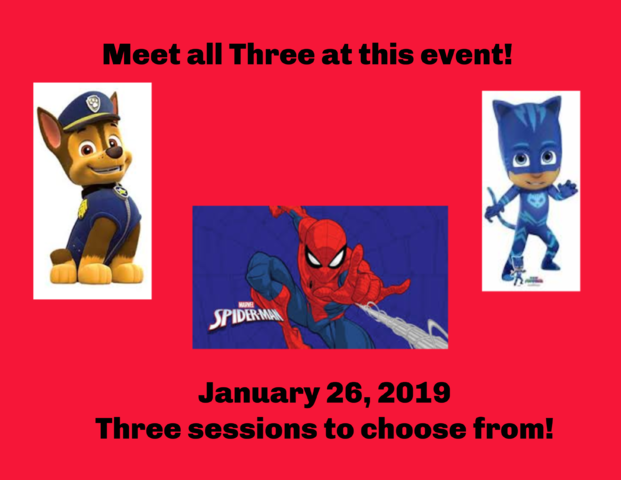 This is your chance to meet three characters in one JAM PACKED meet and greet session! Choose from three start times - 9:30am, 10:30am or 11:30am!